'Hear The Boat Sing': Rowing Interview about Laurie's "House"
This blog covers all aspects of the rich history of rowing, as a sport, culture phenomena, a life style, and a necessary element to keep your wit and stay sane. Rowing Interview about Laurie's "House"
As I have written about the British actor Hugh Laurie earlier on this blog, it might interest you that, today, "row 2k" published an interview with Princeton Heavyweight coach Greg Hughes as he and one of his crews are the ones you see rowing on the river in the beginning of the show, "House". To read the interview, click here. HTBS has moved. Click on the image above to come to the new website! ‘Hear the Boat Sing’ (HTBS) was founded in 2009 by Göran R Buckhorn, a Swede living in Connecticut, a magazine editor, culture scribe and a rowing historian. In 1990, Göran co-founded the Swedish rowing magazine, “Svensk Rodd”, for which he is now a contributing editor. 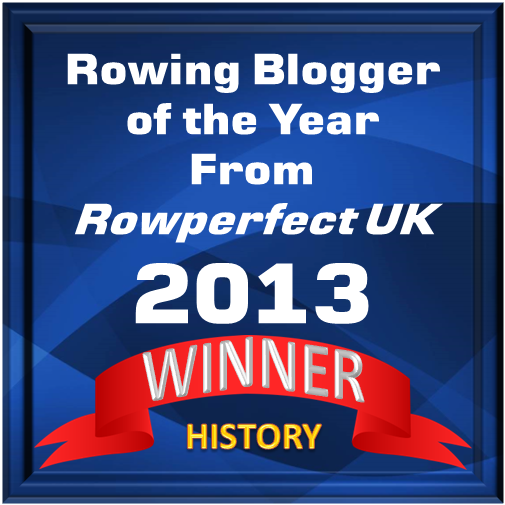 He has written numerous articles on rowing, and is one of the Directors of Friends of Rowing History and a member of BARJ, the British Association of Rowing Journalists. Regular contributors to HTBS are: rowing historians Tim Koch and Greg Denieffe, both in England; Hélène Rémond, France; and Philip Kuepper, Connecticut. Besides writing articles on The Boat Race, the Henley Royal Regatta, the Wingfield Sculls, and the Doggett’s Coat and Badge Race, Tim has made some rowing documentaries. He is also a Director of the Friends of Rowing History and a member of BARJ. Greg is an Irishman who specializes on Irish rowing. Some of his finest pieces are on HTBS. Hélène, who wrote her thesis on British rowing, has covered The Boat Race and the Henley Regatta for French papers and HTBS, also shooting beautiful photos for this blog. 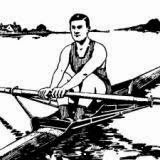 Philip’s poems on rowing have topics about everything between the daily life and the divine. 5th Rowing History Forum Is Coming Up! This site has welcomed visitors from: Albania, Algeria, Andorra, Argentina, Aruba, Australia, Austria, Bahamas, Bahrain, Bangladesh, Barbados, Belarus, Belgium, Belize, Bermuda, Bosnia and Herzegovina, Botswana, Brazil, Brunei, Bulgaria, Cameroon, Canada, Chile, China, Colombia, Costa Rica, Crete, Croatia, Cyprus, Czech Republic, Denmark, Dominican Republic, Egypt, El Salvador, Estonia, Faroe Islands, Finland, France, Germany, Gibraltar, Greece, Greenland, Guam, Guatemala, Guyana, Hong Kong, Hungary, Iceland, India, Indonesia, Iran, Iraq, Ireland, Italy, Jamaica, Japan, Kazakhstan, Latvia, Lithuania, Laos, Lebanon, Luxembourg, Macau, Macedonia, Madagascar, Malaysia, Maldives, Malta, Mauritius, Mexico, Mongolia, Morocco, Nepal, Netherlands, Netherlands Antilles, New Zealand, Nigeria, Northern Mariana Islands, North Korea, Norway, Oman, Pakistan, Panama, Peru, Philippines, Poland, Portugal, Puerto Rico, Qatar, Romania, Russia, Saudi Arabia, Serbia, Singapore, Slovakia, Slovenia, South Africa, South Korea, Spain, Sudan, Sweden, Switzerland, Syria, Taiwan, Thailand, Trinidad and Tobago, Tunisia, Turkey, Uganda, Ukraine, United Arab Emirates, United Kingdom, Uruguay, USA, Venezuela, Vietnam, Zambia. How About Singapore Rowing Club?